Alec Bradley Filthy Hooligan - Just In Time For St. Patrick’s Day! 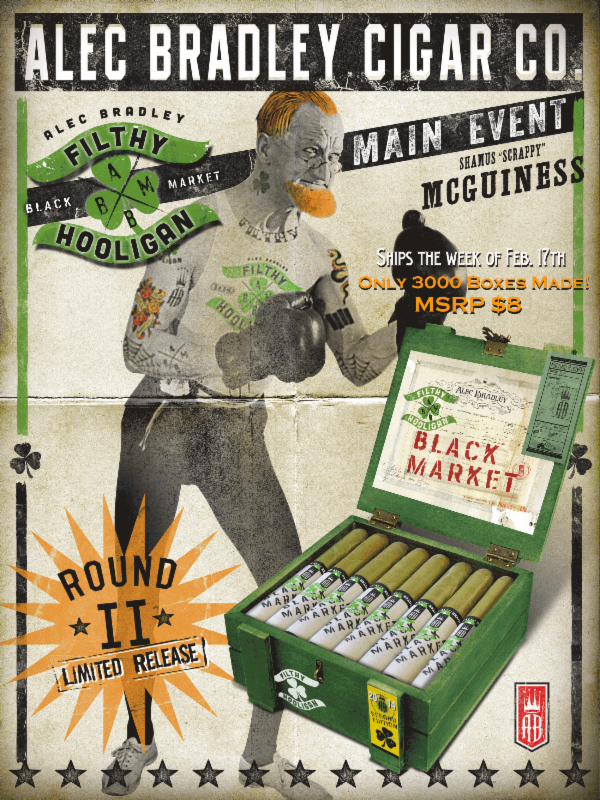 Alec Bradley has re-released the Filthy Hooligan in 2014 with an aged wrapper, just in time for St. Patrick's Day! This limited release stick is available at your favorite cigar shop, Finck Cigars, so be sure to stock up before we run out!